According to the US Department of Health and Human Services, 70% of people age 65 and older will need some form of long term care in the next few years. With the aging Boomer generation, it’s reasonable to predict that even more seniors will be taking advantage of the services offered by assisted living, continuing care, and hospice care facilities in the years to come. Due to the nature of their operations, patient-serving healthcare facilities come with their own unique brand of hazards that make their properties especially prone to health, safety, and security incidents—that is, if risks are not adequately managed. An article on PropertyCasualty360 describes the various environmental exposures that commonly impact healthcare facilities. These include—but are not limited to—chemicals, medicines, biological waste, mold, fuel tanks, landfills, onsite incinerators, and storage tanks that support emergency generators or boilers. Additionally, long term care facilities are up against the same range of “typical” elemental hazards of other brick and mortar businesses: rain, ice, and wind, as well as electrical and structural hazards. Properties, of course, are also at risk of break-ins and other criminal activities that can impact a facility’s business equipment, supplies, furniture, and employees’ personal property. That’s not to mention the possibility of data breaches related to the theft of hardware or, more critically, unauthorized access into computer systems and software. 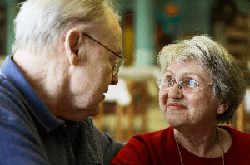 AllLaw reports that there are “countless accidents, intentional acts, and failures to act that may leave a nursing home or other care facility on the legal hook.” And Nursing Home Abuse Center reports that over 95% of nursing home abuse cases are settled out of court and the average nursing home abuse case value—which includes all damages and the law firm fees—ranges around $750,000. In fact, they sited a $960,000 case in New York involving a fall and a non-fatal head injury and a $250,000 Massachusetts case in which a patient ingested foreign objects. In addition to maintaining adequate health and safety policies and procedures, facility employees need to be an active part of the solution and be held accountable for holding up health and safety standards and communicating concerns to managers. Long term care facilities need dependable workers’ compensation coverage—just in case. When it comes to employee health and safety, OSHA reports the most prevalent hazards in the industry are musculoskeletal disorders, blood borne pathogens, and tuberculosis. Others include chemical exposure, burns, and injuries resulting from interactions with violet patients. To help protect against the all-too-common work-related injuries, facilities need to ensure their employees are trained on and follow ergonomics best practices, particularly for lifting and repositioning patients. Unfortunately, repetition and force—not to mention awkward posturing—can lead to ongoing aches and pains or serious injuries that require employees to seek medical attention of their own. 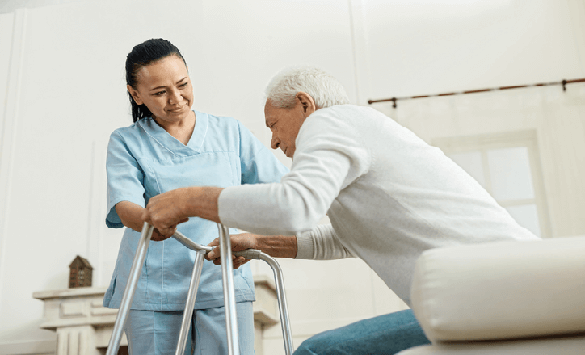 Learn more from OSHA’s Ergonomics Guidelines for Nursing Homes. If you have further questions about insurance coverage for long term care facilities, please contact your Acadia Loss Control Representative. If you are not a current Acadia Insurance customer, please contact your local independent insurance agent for information or to obtain a quote.